Microsoft has finalised the Windows 7 code and released it to manufacturing (RTM). But users shouldn't expect a slew of last-minute additions to the OS since the Release Candidate, says John Curran, UK Director of Windows Client Group, speaking to TechRadar. "One of the things that we really focussed on is a slightly different engineering philosophy from Windows Vista to Windows 7," Curran told TechRadar. "We've tried to make sure that our development has made it easy for our partners – the software and service developers as well as the hardware manufacturers and our customers – to be able to fully embrace and plan for Windows 7. "So what that's meant is that if you look all the way back to, say, PDC last October we had an API-complete version of the operating system. And in the beta timeframe we've focussed on being feature-complete. That allows our partners to be more fully prepared to take advantage of all the great new features, functionality and capabilities of Windows 7. "It also allows our business customers, our early adopters, to more fully test and deploy Windows 7 sooner, being able to test a against a feature-complete version. "So we have no new announcements in terms of features and functionality - rather the big announcement is that RTM is here for Windows 7 and Windows Server 2008 R2. "The product is complete and today it gets sent off to the hardware manufacturers to begin their process of preparing for general availability on 22 October." OEMs will receive Windows 7 RTM software images in approximately two days' time, so they can prepare images for new PCs to ship with Windows 7 on them. 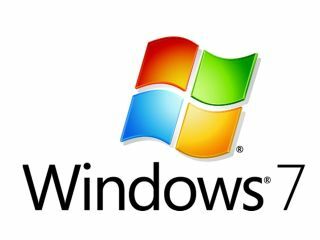 Windows Volume License customers will be able to download Windows 7 starting 7 August, while subscribers to MSDN and TechNet can look forward to getting their copies of Windows 7 RTM in English on 6 August and remaining languages by 1 October. This delay between RTM and the code appearing for download "has to do with getting all of our internal systems right," explains Curran. "It does typically take us a couple to a few weeks just to get it published on all of our sites and make sure we are ready from a support perspective, that we can provide a flawless experience for our customers and partners as they go to get the bits. It's just an operational aspect of our systems." Unlike the launch of Vista, where beta testers who filed a bug report received a free copy of Vista Ultimate or Business edition, there will be no free copies of Windows 7 for beta testers. "This time the approach that we have taken has been, broadly speaking, to provide to our customers a series of offers, with £49 for Home Premium and £99 for Professional, and that's allowed us to reach very broadly into the market and thank people for being excited about Windows and for taking part in the Windows upgrade," Curran said. "A lot of the people who participate in our programmes from a testing perspective are IT professionals who, through their various licenses and subscriptions, have access to the software as it is. "So what we were looking at is how do we be more broadly inclusive and thank people who have taken part, especially those who aren't IT professionals, who don't necessarily have access to the software through volume licenses and other subscriptions."